[Original Title]: Will KIPP Be Allowed To Bypass Conflict of Interest Law In Its Bid For State Funds? [3/14/18] Update: The California State Board of Education has voted to approve two KIPP petitions to expand campuses into San Francisco and San Jose despite strong community resistance and knowledge of the charter chain’s refusal to agree to abide by a basic conflict of interest law – Government Code 1090. The following is an open letter that had been sent to the State Board of Education to urge a no vote on the expansions. For related posts on past State Board of Education votes, see here and here. The following links lead to the official NAACP statement about the resolution and the original resolution with research links. See also the recent Task Force report/recommendations, which specifically highlight the importance of local governance in decision-making about charter schools. KIPP is mentioned several times throughout this report (see refs for p. 7 and 21 in addition to the quotes below). 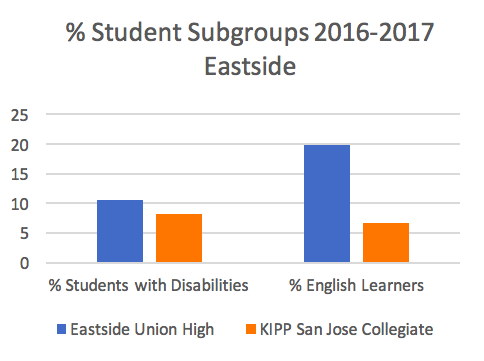 The patterns revealed in the above report are consistent with other published critiques of KIPP and with our own local San Jose data. KIPP is also mentioned several times within this report. Below is a quote related to their partnership with the El Dorado SELPA. It’s not clear if the “Oakland” KIPP named here is referring to a main office where the San Jose KIPP appears to be been governed or if it’s referring to actual KIPP campuses located in Oakland. If the San Jose KIPP currently uses El Dorado but is not listed below, then would the new KIPP East Side also be governed by Oakland? 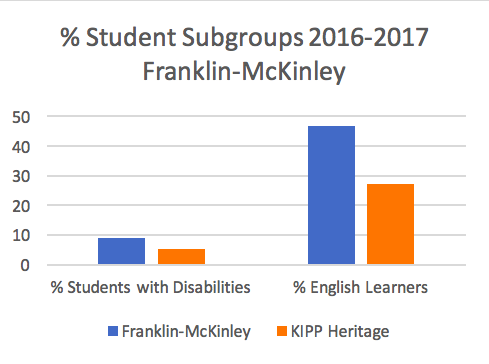 What kind of oversight has been done with any of the KIPPs surrounding special education and have any of the issues below been addressed and/or resolved? “One of the state’s fastest-growing SELPAs is El Dorado County’s charter-only SELPA, whose number of affiliated charter schools has grown in just years from 41 in 2011 to 264 in 2016. The affiliates include many of the state’s largest CMO chains. Schools affiliated with the Alliance chain in Los Angeles, KIPP in San Francisco and Oakland, King-Chavez in San Diego, and Rocketship in San Jose all have their special education needs met by rural El Dorado County, hundreds of miles away in the foothills of the Sierra Nevada. 4) KIPP‘s Efforts to Hide Data While Seeking Millions in Taxpayer Subsidies (Center for Media and Democracy). Consider the details provided within the Center for Media and Democracy analysis given the following 6 minute video from the Santa Clara County Board’s denial of KIPP for failure to agree to abide by a basic conflict of interest government code. As you are likely aware, KIPP is the recipient of millions of dollars of corporate funding and has a robust marketing team that has been effective in portraying a glowing public image of the charter chain that has been impactful in swaying both interest and support. Prior to the recent scandal involving allegations of sexual abuse of a minor by KIPP co-founder Mike Feinberg, it was rare for the general public to hear media-based counter-narratives about KIPP. Critical perspectives are widespread, however, and important to consider, as they relate to the ways that children are being treated. For more on these concerns, please read a review of KIPP‘s practices in the following book by Jim Horn, and consider the KIPP subset of updates within this larger collection of concerns. Finally, see the following publication from Dr. Preston Green, published in the Indiana Law Journal regarding gaps in charter school authorization and oversight processes that pave the way to waste, loss, and corruption within the sector. Recommendations are summarized in the following overview of the piece. We urge you to respect and uphold the decisions of our locally elected school boards and to vote NO on the KIPP petitions. thanks Roxana – pl clarify who the “Legislative Counsel” is whose statement is appended above, and what State Board of Education’s legal opinion is as to these conflict of interest provisions – if they expressed it or simply ignored the issue. The link to the full letter is here https://cde.app.box.com/v/SBE2018MARCH/file/282675343163 and it looks to be from the State of California Office of Legislative Counsel http://legislativecounsel.ca.gov/home. Trustee Rucker brought up the issue at the meeting but it appeared not to have been resolved. The rest of the trustees definitely also had information about this, however, as the document above was drawn from the state files submitted to the CDE and the reason for denial at the County level was based specifically on KIPP’s failure to sign an agreement to abide by this provision of the law.